Here’s a great interview on GrapeCollective.com with wine blogger Richard Jennings on the Santa Barbara region and some top producers to seek out! You just need to head to CellarTracker to find out how serious Richard Jennings is about wine, to the tune of 40,000+ tasting notes. If the site was a physical repository, Jennings would have his own wing. In the latest edition of my SpeakEasy series of interviews with online wine personalities, I chat with the man behind RJ on Wine about the most exciting wine region in California, avoiding palate fatigue, sweet 100 point wines, how to be an effective negotiator, and reflections on the development of the Wine Bloggers Conference. You recently got to immerse yourself in the winegrowing areas of Santa Barbara County. For those only familiar with Napa and Sonoma, what makes this part of California unique? What wines or wineries should wine lovers put on their radar? For me, Santa Barbara the most exciting region in the state these days, based on the ways in which many winemakers there are focusing deeply on terroir, which includes some of California’s coolest growing regions. I am working on an ebook covering the area’s wines that I plan to keep updated, once it’s available, so I try to get down there every few months. The county’s diverse winegrowing region begins about 20 miles north of the city of Santa Barbara and includes the ocean wind cooled and moderated Santa Rita Hills and Santa Maria Valley appellations. 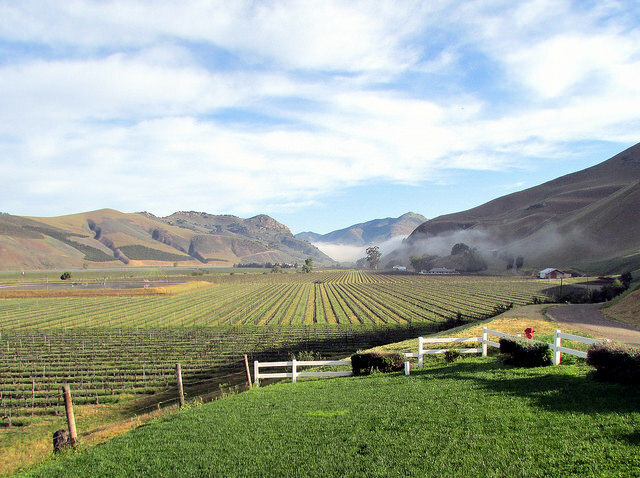 I love cool climate Chardonnay, Pinot Noir and Syrah, and delicious, ageworthy examples are coming out of these AVAs and neighboring vineyards. Some of the best producers to look for from these appellations include Alma Rosa, Bien Nacido, Brewer-Clifton, Chanin, Deovlet, Foxen, Longoria, Melville, Qupe, Rusack, Sanford, Samsara, Storm, and Tyler. There are also warmer regions here that specialize in wines that take advantage of their particular climate and soils. Ballard Canyon is a new AVA in the center of Santa Barbara County that is admirably focused on aromatic and minerally Syrah (think Jonata, Stolpman and Larner among the producers here). It is, in fact, the country’s only appellation focused on Syrah. Happy Canyon of Santa Barbara is the area’s warmest region, at the county’s eastern edge, where terrific wines based on heat loving Bordeaux varieties are being made. Santa Barbara happens to be blessed with great pioneering winemakers like Richard Sanford, Richard Longoria and Ken Brown, who are still active and have long mentored newer producers. There are also an increasing number of very talented younger winemakers, including transplants from South Africa and Sonoma. The culinary scene in the towns dotted around this spread out region is also burgeoning, so there’s lots to taste and enjoy if you get a chance to visit here.